A well-deserved pause to give your skin its vitamins, restore your energy and help you quickly rediscover a restful look in a dynamic atmosphere rich with the scents of citrus and garrigue. AGING? ACNE? PIGMENTATION? ROSACEA? NEED REJUVENATION? • Soli-Tone LED Rejuvenating Light Therapy will help! Your skin has the natural ability to absorb infrared wavelengths of light and use the energy from this type of light as a source to stimulate cellular regeneration. Infrared LED Light Therapy was discovered by NASA as a method of stimulating cellular regeneration and pain relief and was used in the Space Program as a method of treatment in space. 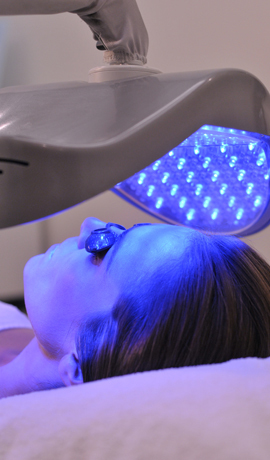 Research has found that LED Light Therapy can reverse and control the visible signs of aging and acne, tightening your skin to make you look years younger. 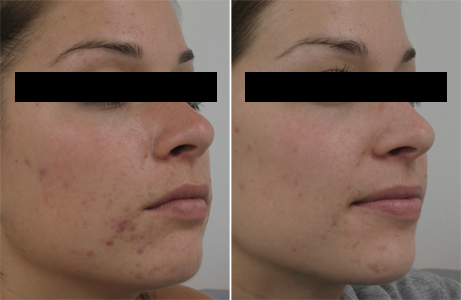 This is done without harsh chemical treatments or invasive surgical procedures. Soli-Tone LED Light Therapy clients see and feel a dramatic tightening of skin, smoothing of wrinkles and rough spots, disappearing blemishes, softening of redness and shrinking of pore size. Silhouet-Tone has chosen four specific wavelengths - each well absorbed by skin tissue - proven to provide extraordinary therapeutic and repairing effects. 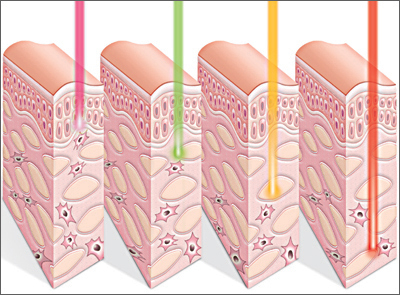 When applied with the necessary power density and duration, each color has a unique and direct impact on the cells responsible for skin problems. By using a combination of pure spectrum colors to optimize results during LumiFacial® treatments, the Soli-Tone is the most efficient and powerful unit available today. 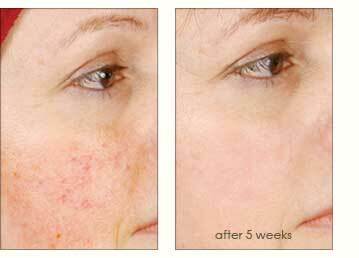 • Blue light at 470nm (nanometers) improves acne prone skin through its purifying and antibacterial properties. • Green light at 525 nm reduces pigmentation by penetrating into the basal layers. • Yellow light at 590 nm treats redness and is also used for its soothing, draining and detoxifying properties. Absorbed by the body fluids, it improves the lymph and blood circulatory system. • Red light at 640 nm increases collagen production fivefold in the skin, triggering repair mechanisms and stimulating fibroblast cells and cell growth. Each color is photo-modulated, in a pulsed or constant mode, insuring specific focus and delivery of the correct light at the location of the problem. As you can see in the result photos to the right, clients achieve spectacular results. The treatments provide a more complete and long-term solution for the skin care issues that many people are dealing with on a daily basis. This treatment is a complete photo-rejuvenation procedure that combines the effects of Light energy, Micronized currents and HF Polarized currents to produce skin rejuvenation that is safe, comfortable, and effective. Aging occurs on three levels; epidermal, dermal, and in the muscle tissue beneath, producing dehydration lines, dull and lifeless complexion, expression wrinkles, deep wrinkles around the lips, frown lines, sagging jowls and naso-labial fold. Soli-Tone reaches down into all three levels to rejuvenate skin tissue and lift muscles, erasing years... something that light alone cannot do. During treatment, two specially designed lifting electrodes, each with forty (40) powerful Extreme Super-Luminous LED's - more powerful and of higher quality than regular LED's - pulsate light at a wavelength of 640 nanometers and use high power density to stimulate light absorbing photo-receptors in the skin to induce a cellular response. Pulsed red light triggers a wave of energy that stimulates the fibroblasts cells which increases collagen production and improves the repair mechanisms of the cell. Unlike Intense Pulsed Light (IPL) and lasers that rely on thermal injuries to prompt the skin to repair itself, Extreme Super-Luminous LED's are noninvasive, pure polarized narrow band frequencies that are safer than natural sunlight. That is because there are no harmful UV rays. While the ESLD's are at work, the Soli-Tone transmits Micronized currents through the lifting electrodes. Harmonizing with the natural bio-electrical currents found in the body, they reconstruct or re-educate muscle tissue, achieving visible lifting results, restoring facial contour, and slowing the aging process. During the last part of the LumiLift® treatment, HF Polarized currents are applied by two smoothing electrodes. 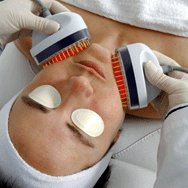 The aesthetician uses a gentle, ironing motion to smooth away fine lines and wrinkles. Improvements continue for a minimum of three (3) months after a single session. Results are cumulative as fibroblast production CONTINUES to occur as a result of the photo-energy stimulation. After completing a series, depending on the rate of the aging process, changes can last over one year. 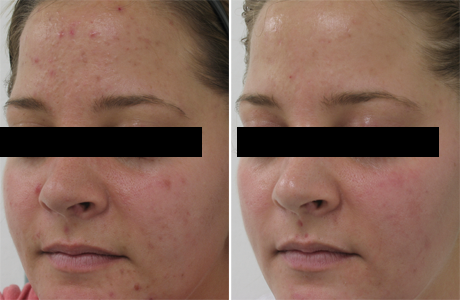 A good skin care regimen combined with a monthly maintenance treatment is sufficient to enhance and maintain the result of obtain with the Lumi-Lift ® treatment. The following treatments take 30 minutes to an hour depending on the number of areas treated and skin condition. 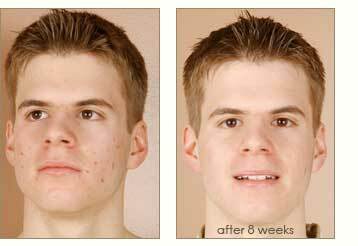 glo-therapeutics now offers a range of Vitamin C products to repair and protect damaged skin. The most potent anti-aging serum available at Skin & Beyond Day Spa. A high concentration of Vitamin C combined with cutting-edge ingredients Inyline, Preventhelia and Longevicell. The results...a healthy, youthful looking complexion. Research shows this super antioxidant stimulates collagen production while working as an anti-inflammatory to speed up wound healing. Start your skin care routine by applying vitamin C to skin protection against free radical damage-and see results in 8-12 weeks! L-ascorbic Acid is the only form of Vitamin C the body recognizes and can utilize. To penetrate and act effectively within the skin, the formulation must be within a precise pH range of 2.0-4.0. Apply Vitamin C once per day in the morning to achieve maximum benefit. Humans do not synthesize Vitamin C so it is necessary to supplement into a diet and skin care regimens. When taken orally, a very small percentage of Vitamin C will reach the skin. Topical application is necessary for skin care benefits. The free radical theory of aging is a widely accepted, well researched topic. Free radicals are unstable molecules created during basic metabolic functions as well as exposure to UV rays, pollution, cigarette smoke and stress. Free radicals are involved in the destruction of the skin, causing photo damage, inflammation and the breakdown of collagen and elastin. When the damage of free radicals accumulates over the years, the consequence is aging skin. Antioxidants are the heroes that come along to protect against destructive free radicals. Antioxidants have the potential to protect the skin and impede the aging process. Vitamin C in the form of L-ascorbic Acid is a superstar antioxidant proven to increase fibroblast activity and stimulate collagen production. It has protective antioxidant properties and works simultaneously as an anti-inflammatory to speed wound healing. 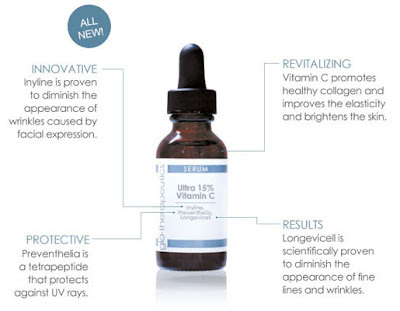 Also.. Don't forget to add "The Vitamin C Ultrasound Therapy" to your next facial treatment! ~Book your spa treatment today! Age Intervention Duality is a breakthrough anti-aging acne solution providing serious acne control and dramatic anti-aging benefits. Its unique dual chamber dispensing solution combines some of the most medically validated, yet previously incompatible, technologies in one product. The maximum allowed percentage of benzoyl peroxide, concentrated retinol and powerful anti-aging technologies, including multiple peptides, anti-inflammatory agents and antioxidants, are combined in a gentle formulation. Visit us and get your skin back in track. ~Book your skin care treatment today! Acne Facials, Advance Therapies, Chemical Peels available at our spa. Did you know that an aromatic bath was one of the best ways to invigorate when you're feeling tired? This amazing product is richly dosed with the finest aromatic essences. It is a true bath therapy! Will not leave an oily residue in the bathtub. Invigorates, refreshes and promotes a sense of "well-being"
Extracts of witch hazel- improves circulation, purifies and tones. Seductive, addictive, irresistable and mesmerizing scent that leaves you with a long-lasting sensation of energy and better being. Soothes senses and softens dry skin. Find it at our spa! ~In need of a spa day? Book it today, view specials! Do you enjoy self tanning products but have been disappointed by their strong odor? Their orange color? Streaking? 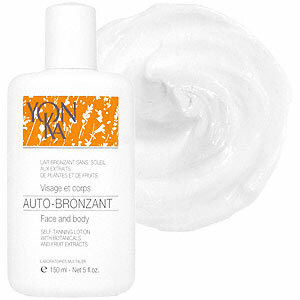 AUTOBRONZANT is a skin conditioning treatment and self-tanner in one product! You are protected from signs of premature aging. the skin's "anti-wrinkle star" of the YON-KA anti-aging palette of facials. 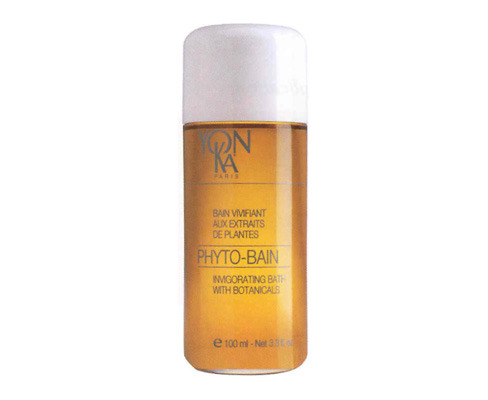 offers intense stimulation in the deepest layers of the skin to beautifully revitalize the complexion. deliveres flawlessly radiant skin from within.